The 100th Anniversary of the Nobel Prizes is being celebrated by the Royal Mail in a set of six stamps, which are scheduled to launch on 2 October. 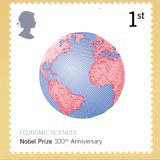 Designed by London consultancy HGV, each stamp is produced using a different printing process and covers each of the Nobel prize categories: chemistry, physics, physiology or medicine, literature, peace and economics. The set includes a scratch-and-sniff stamp that smells of eucalyptus, which is the first time that scented ink has been used on British stamps, and a micro-printed TS Eliot poem that can only be read by magnifying glass. 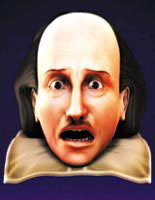 Britain has had 94 Nobel Prize winners since the awards were first introduced on 10 December 1901.